This title is only available as a loose-leaf version with Pearson eText. 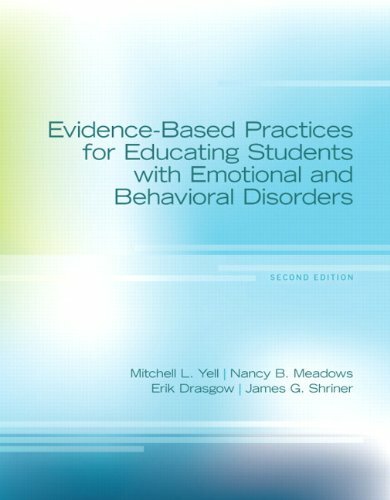 With an emphasis on effective instruction, the second edition of Evidence-Based Practices for Educating Students with Emotional and Behavioral Disorders uncovers the practices that are most effective for teaching students with EBD. The text’s practitioner-friendly style places emotional and behavioral disorders within the context of the classroom and includes information on how to manage student behavior, teach students specific content areas, and develop educationally meaningful and legally sound IEPs. Chapters are filled with useful advice for teachers and cover important topics such as assessment, law, social skills training, and academic interventions.